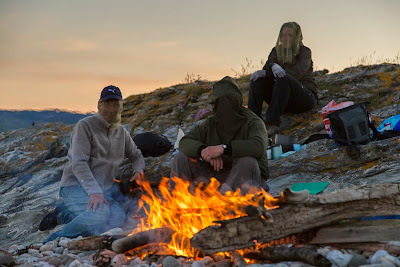 As dusk fell the wind dropped and unfortunately that was the signal for the arrival of the midges. We soon had a fire going on the beach. We don't light fires on grass and we don't make fire rings with big stones. After the next high tide there is no sign of our passing. 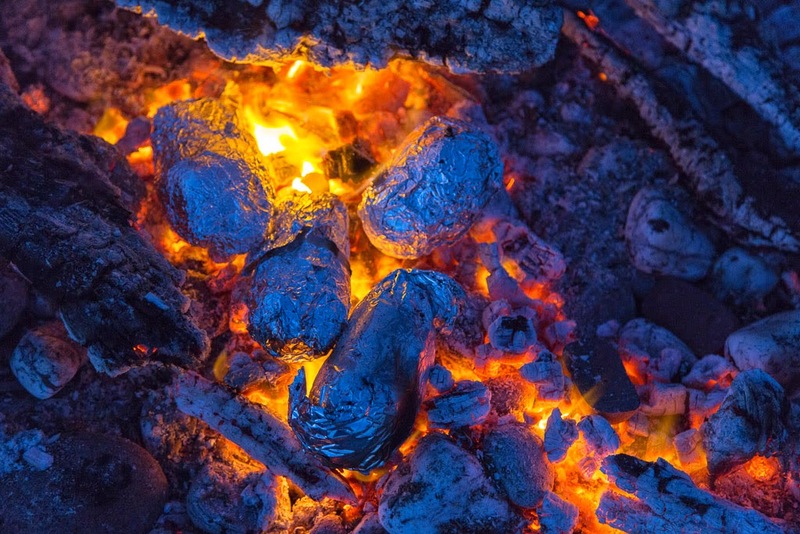 Baked potatoes in tin foil are an essential addition to any camp fire. 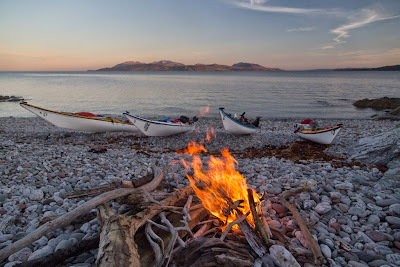 As we and the millions of midges enjoyed the ambience of the evening we were really surprised that we had the place to ourselves, with no other human company.